Yes, the rumours are true, and you really can "make money on Pinterest". 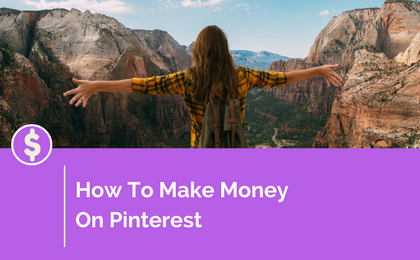 Today, I'm going to show you exactly how to make money on Pinterest step by step (even without a blog). Pinterest is one of the largest social media websites on earth. Just like with Facebook and Twitter, there’s a variety of ways to use Pinterest to drive traffic to your affiliate links, blogs, niche sites, eCom store or pretty much anywhere else you want. And you can monetize your Pinterest following easily. People making thousands of dollars per month using these techniques that I’m about to show you. A lot of people are making a living from affiliate marketing. Many companies offer affiliate marketing programs to have their products advertised and sold by other people. Affiliate marketing is essentially someone paying you commission for sales you make through your affiliate link. For example, if you run a weight loss blog, you can make money by selling someone else’s weight loss product. They will set you up with an affiliate link so they can keep track of where the sales came from. You’ll receive a commission for every product sold via your link. A) Do a thorough search for a product you want to promote. Whatever your niche is, there’s a product out there you can get behind. 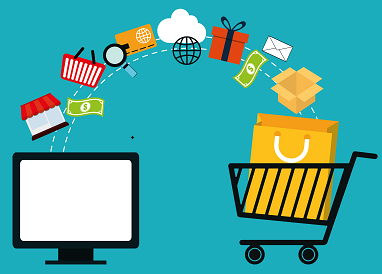 For a list of affiliate products to promote within your niche, you can check out OfferVault, Clickbank or CommissionJunction. 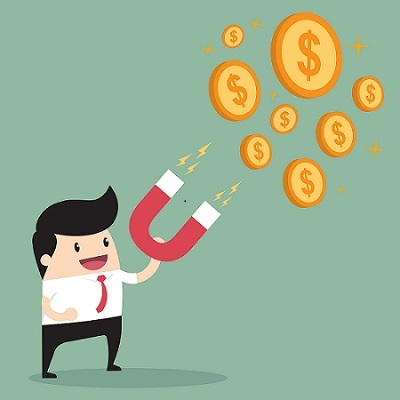 B) Once you are signed up for an affiliate program, you will receive an affiliate link which is unique because it has tracking codes so it knows how many sales came from you. Create Images, Boards and Start Pinning! To start, you should create at least ten boards and have 10 pins in each board, but overall, you should try to share new content regularly (Pinterest recommends multiple times every day). You can use an affiliate link in each pin. For example, if you had a board for planning a party, then you can have a bunch of images, money saving tips, along with links to where they can buy the stuff you’re suggesting to them. Each person who clicks on your board to see your ideas might like them and want to buy something for their next party. Remember Pinterest is all about images, so for this to work you need to create your own attractive images. It’s easy to create your own awesome-looking pin images. Use software like PicMonkey or Canva to help you design your own images that you can upload to your boards. The best types of images to create are long, vertical ones that fit Pinterest’s style. For example, 1,000 pixels wide by 1,500 pixels high. Then, with these images, you can show off your style, create an ad, or a header image that attracts people to your content. It’s no secret that Amazon has been leading the online affiliate marketing for decades now. The fact that Amazon has so many products to offer made significantly easier for many people to make a living off The Amazon Associates Program, and you could too! The one downside to this is that Pinterest won’t allow you to direct-link from your pin image to via your Amazon affiliate links, so you’ll have to link your pin images to your blog or niche website. On that website, put content which links via your Amazon affiliate links to the product that you want to promote. Still, even with the extra step, it’s well worth it. There are people making thousands of dollars per month who use their blog, Pinterest, and Amazon Associates Program. Sponsored posts is content that you produce that’s paid for by a brand. Once you grow your audience, you can use your blog to promote other brands’ products and services and make money that way. There are a lot of companies looking for people to promote their products and they pay a lot of money to sponsor posts that get their product in front of as many eyes as possible. If you have thousands of followers on social media, namely on Pinterest, that adds to the overall authority of your blog or niche website. Having a lot of Pinterest followers will make it easier for you to attract sponsored post requests. If you do decide to give sponsored posts a go, make sure your blog has valuable content and is well balanced with not too many ads. You don’t want people finding ads only. Having some good content on your blog will help you to continue building your audience. There are many places to go to find these advertisers. One is Sponsored Reviews and another is Pay Per Post. Email marketing is still one of the best ways to make money online. And building your Pinterest following is one of the best ways to build your email list. On a serious note though, Pinterest works extremely well to build your email list. Yes, it’s true that Pinterest traffic generally doesn’t spend much time reading your blog posts in detail (because Pinterest is effectively interruption marketing). But I know from my own experience that Pinterest traffic is keen to opt in to your email list, provided there is a good enough offer to entice them to opt in. Create an excellent giveaway offer. For example, in a weight loss niche, it may be an eBook with 10 weight loss recipes. To monetize the email list that you’re building using Pinterest traffic, I recommend having a 30-day follow up campaign in place promoting various affiliate offers. If you’re a service-based individual, selling products may not be your thing. That’s perfectly okay with Pinterest! There are still a lot of ways you can use Pinterest to bring in extra cash and advertise your service. One of the first things you can do is prove your authority in your niche. Offer free content. For example, if you build websites for a living, you can offer any number of website-related tips, tools, strategies, and anything else that will attract buyers to you. You can even create a “portfolio board” that shows off your talent. If you share excellent content, you will get viewers to your website. While they’re browsing your content, they’ll be likely to check out the page where you’re selling your services. And since you’ve built up your authority by sharing excellent content, they’ll be quite likely to order from you (since you’re seen as “The Expert” in their eyes). Alright, now you know everything you need to know to start making money pinning on Pinterest! Want a step by step Pinterest Traffic tutorial? What did you think of this post? If you enjoyed it, please consider leaving me a comment, I love hearing from my readers. 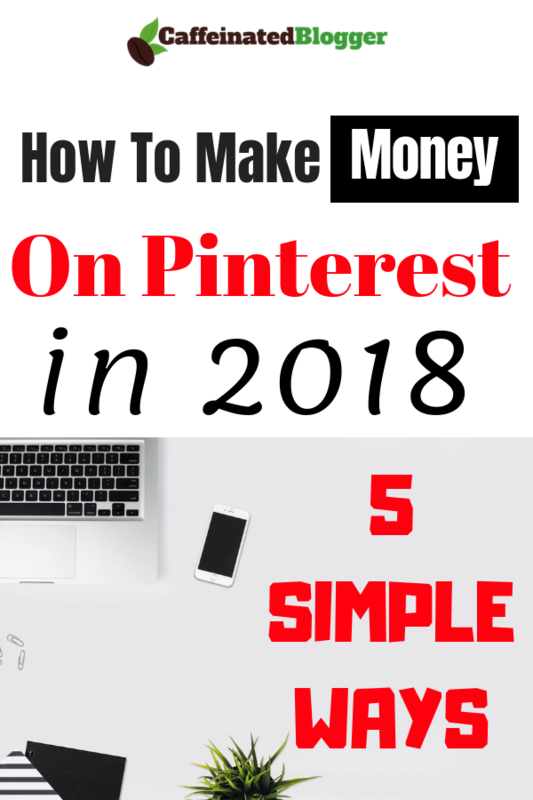 8 replies to "How To Make Money On Pinterest in 2018: 5 Simple Ways"
Хотел поинтересоваться, сколько времени уходит на раскрутку одного Pinterest аккаунта? Hi Maxim, welcome to the blog! It takes around around 1-3 weeks to get your first 100 followers. After that, you can start applying to group boards. For years I sold on eBay, just to make “vacation money”. I think eBay may be dying. .
I’m going to try Pinterest. Hi Gina! Welcome to the blog – and good luck! Your blog posts are awesome, Greg. Thanks.